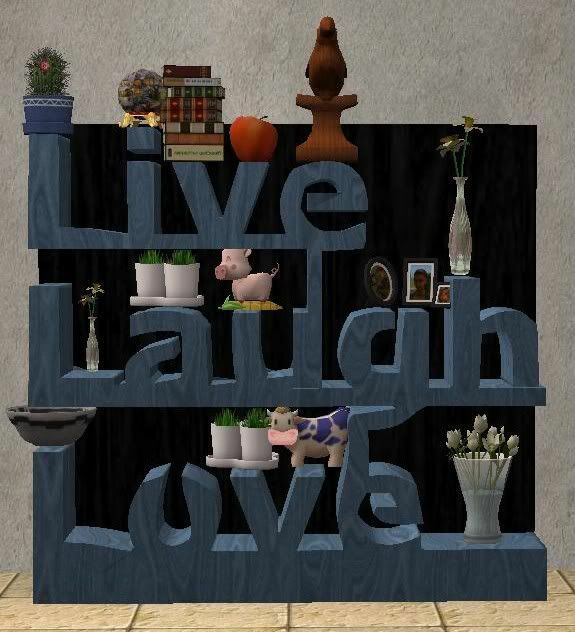 This Live, Laugh, Love shelving unit has 13 slots for placing whatever you want that will fit. Any sculptures, plants, or lamps can go in these slots, Maxis or custom. Enjoy!